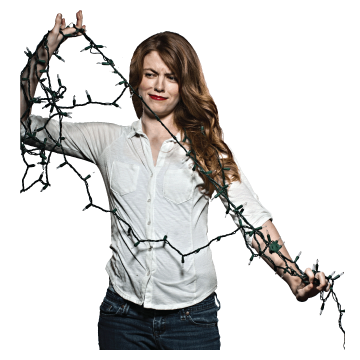 Got any broken strings of lights this holiday season? Don't throw them away, recycle them! 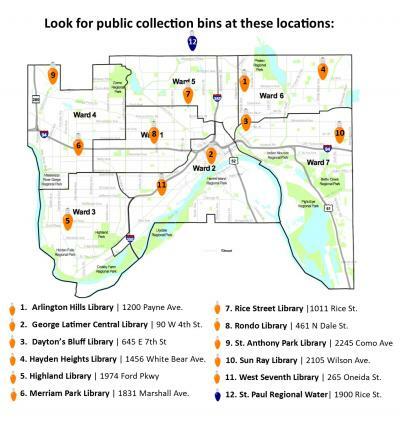 Arlington Hills Library | 1200 Payne Ave.
George Latimer Central Library | 90 West 4th St.
Dayton's Bluff Library | 645 E 7th St.
Hayden Heights Library | 1456 White Bear Ave.
Merriam Park Library | 1831 Marshall Ave.
Rice Street Library | 1011 Rice St.
Rondo Library | 461 N Dale St.
Saint Anthony Park Library | 2245 Como Ave.
Sun Ray Library | 2105 Wilson Ave.
West Seventh Library | 265 Oneida St.
NOT Accepted: Cord adaptors, battery packs, plastic rope lights, CFL lights. We also accept holiday lights at Saint Paul Drop off events.